There is no more telling scene of mismanagement than Canada Post, a crown corporation that has been mismanaging its funds, funneling it to its management's entitled salaries. Its CEO, Deepak Chopra, is paid between $440,900 and $518,600 to decide that seniors want the exercise his new community mailbox plan entails. A crown corporation now expected to be going deeper in the red every year has one place to cut: the top. But the reality is, mismanagement and entitlement is the theme of the Harper government, showing its ugly face in our mail and hiking the price of stamps to $1 and crippling the last real relevance of the service. The worst part is the decline in letter usage is slow and the CEO nor the government are creative or smart enough to look at Amazon as a model for the future. Instead, Canadians suffer from the effects of entitlement: extreme mismanagement and incompetence. Canada Post's management structure is just as ridiculous as Chopra's salary. For an organization of 70,000 workers, 8,000 of which are about to be laid off, apart from the CEO himself, there are two "group presidents" and 19 vice presidents, each with their mouths wide open, waiting for bloated handouts. The group of Canada Post's top management account for $10 million in salaries alone - not to mention the perks and bonuses they get. Chopra told an emergency parliamentary committee looking into his changes that seniors, the hardest hit from the change in service, want the exercise and fresh air that entails from his changes. 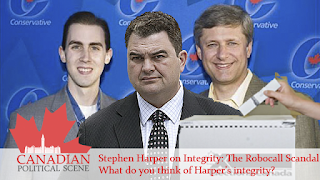 The Conservative Government may have endorsed his plan, but Liberal and NDP MPs responded angrily. NDP MP Paul Dewar started asking him about his salary, which he said was public knowledge and wouldn't change face until Dewar suggested he got a bonus of 33%. As Canadians start to question why we must be subjected to a monopoly that so grossly misused its finances to diminish services at greater cost, Dan Kelly, president and CEO of the Canadian Federation of Independent Business, wonders why Canada Post should maintain its monopoly on mail service in Canada. Kelly noted the "massive letter mail rate hike" will hurt his members and its postal workers and employees have salaries that are 40% greater than the private sector - thanks to the postal workers union. Kelly raises a solid point. 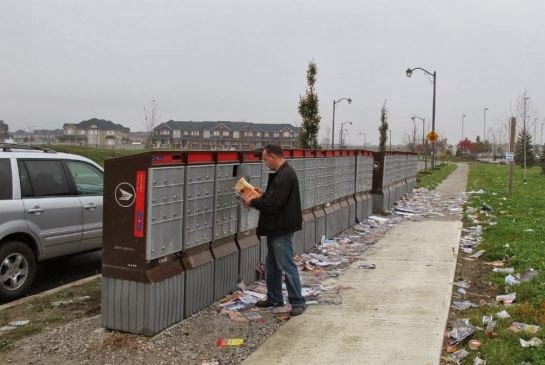 There is no doubt jobless Canadians would happily form a new, more efficient postal service to replace Canada Post at a fraction of the cost - it would probably perform better too! Chopra, two years into his tenure, was unapologetic in his mismanagement of the organization, but said he will restructure the management proportionally to his downsizing of employees - but perhaps there would be no greater cost saving measure than laying off himself. “When you look at our structure … (the management team) reflects the size and complexity of the organization. It goes through intensive scrutiny on an annual basis by the board of directors who review structure and everything that goes with it,” Chopra said. “What I would like to do is, in the same proportion, if you look at the percentages for example, so if you’re looking at X percentage of our workforce getting readjusted, I expect the management ranks to reflect that,” he said. 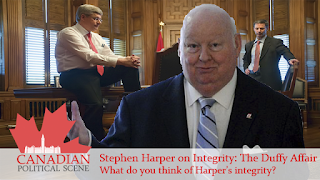 There is a strong sense and era of entitlement in Ottawa and it needs to end. Canadians should not be paying for an elite few in the top ranks of public sector management to walk away with $500,000 salaries, bonuses and perks as their organizations collapse beneath them to the detriment of Canadian society. The first overhaul that's needed in Canada Post is a change in managerial staff that is willing to work at a fraction of that high-end $500,000 salary bracket. Second, employees need to accept the end of the days of entitlement, as does its union, and it needs to become reasonable with its demands of public sector money. If that isn't doable, then perhaps the private sector is the future of mail - a future that will likely cost much less than the abuse we've seen today. It goes to show what entitlement does to services, it diminishes them to a real uncreative mess and it's Canadians who have to pay for it (whether we want to or not). Do you believe your services should be abused in such a manner? Share this article and join the discussion and let us know what you think: Facebook, Twitter, Google+.